Get your home ready for the season festivities coming this Fall! The Hunter Douglas Season of Style savings event starts 09/22/18 and ends 12/10/18. 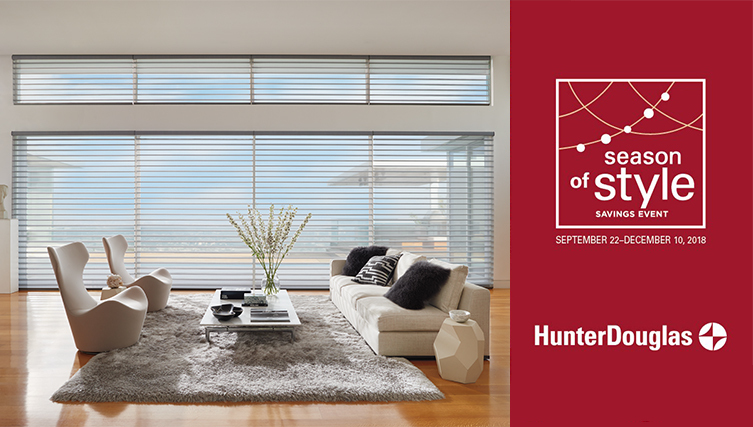 Visit our showroom in Houston, TX or contact us at 713.874.5200 about the Hunter Douglas Season of Style Savings Event. 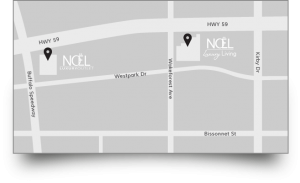 Noël Home Fine Furniture provides Hunter Douglas window fashions to residents not only in Houston, but also in Katy, Sugar Land, The Woodlands, Pearland, Austin and surrounding Texas areas. As a local business serving the greater Houston area, your complete satisfaction is our top priority. *Manufacturer’s mail-in rebate offer valid for qualifying purchases made 9/22/18–12/10/18 from participating dealers in the U.S. only. A qualifying purchase is de ned as a purchase of any of the product models set forth above in the quantities set forth above. If you purchase less than the speci ed quantity, you will not be entitled to a rebate. 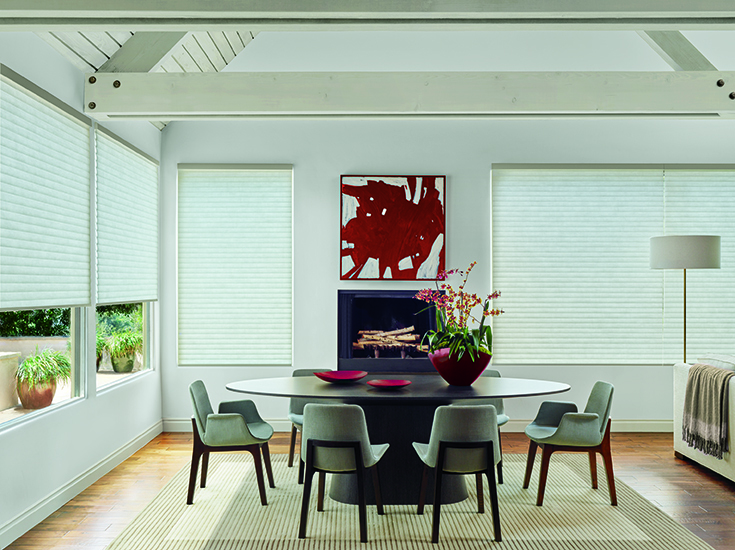 Offer excludes HDOriginsTM and NantucketTM Window Shadings, a collection of Silhouette® Window Shadings. Rebate will be issued in the form of a prepaid reward card and mailed within 4 weeks of rebate claim approval. Funds do not expire. Subject to applicable law, a $2.00 monthly fee will be assessed against card balance 6 months after card issuance and each month thereafter. See complete terms distributed with reward card. Additional limitations may apply. Ask participating dealer for details and rebate form. ©2018 Hunter Douglas. All rights reserved. All trademarks used herein are the property of Hunter Douglas or their respective owners.